As part of our series introducing you to the ViewRanger team, in this article we hand over to Ian Pond, who has recently joined the team full-time as Chief Marketing Officer (but who has been working with us for a couple of years in an advisory role). Ian comes to ViewRanger with deep experience of the mobile telecoms market including senior roles with Orange/France Telecom Group and more recently on a consulting basis including major assignments for TomTom, Truphone, and HTC. My sports activities in the last few months of 2010 were severely curtailed following a biking accident in West Wales resulting in a broken left cavicle. So with field testing ruled out, the only option was some “market” testing around the labyrinthine souks of Marrakech with my wife. Not surprisingly the OpenStreetMaps of Marrakech are not quite as detailed as those of a European capital, but proved quite sufficient to ensure that we never got lost. Being an old hand in the mobile industry, I’m well aware of the eye watering mobile data charges that operators levy, especially when you go outside Europe. So job number one was to switch off roaming mobile data. It does mean that the GPS is a little slower in finding an initial signal, but that didn’t take too long on the roof terrace of our Riad. 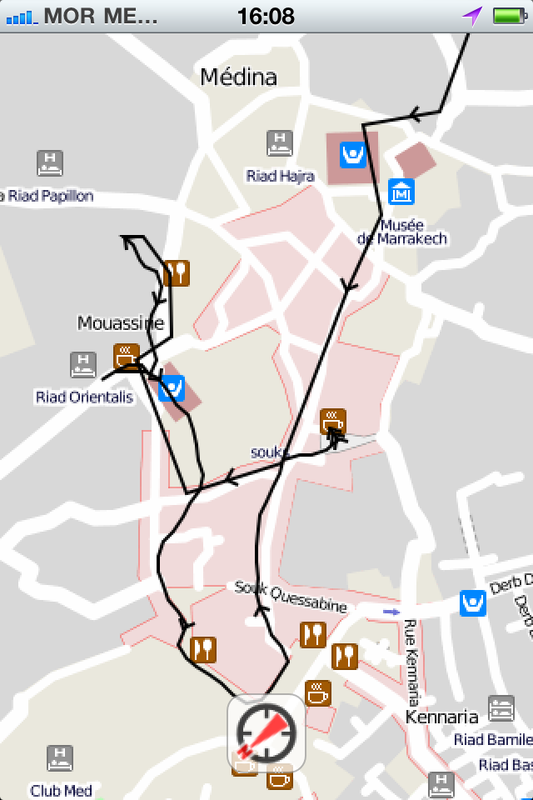 I used the Wi-Fi at the hotel to view and cache the OSM mapping for all of central Marrakech and once happy that I had all the detail I needed, switched ViewRanger to off-line mode. From then on the app did its job perfectly, and tracked and recorded our wanderings through and round the covered markets and narrow back streets (see the screen grab). 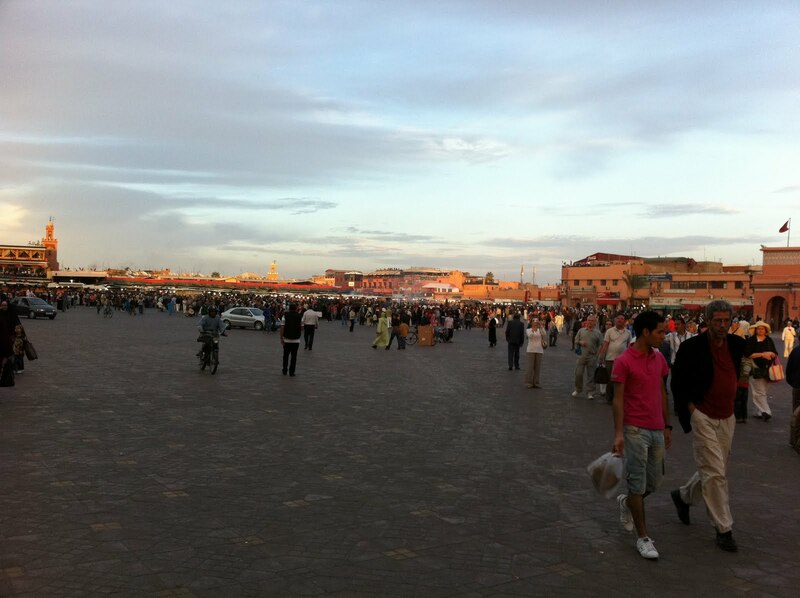 It allowed us to remain confident about where we were, to find Cafes and lunch stops and how to get back to the big square “Djemaa El Fna” and our Riad, without, importantly, incurring any roaming charges. Fortunately the shoulder is well on the way to recovery now, and should be fine by February half-term for skiing and testing out OpenPisteMaps in Meribel. I just need to make sure I don’t fall on it again!